Google Nexus S to be relaunched as Galaxy S2? 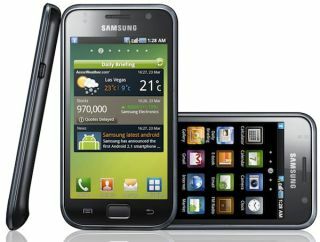 The Google Nexus S looks set for a Samsung overhaul and a re-launch as the Samsung Galaxy S2. The new phone has been tipped for a Mobile World Congress launch by Korean newspaper Chosunilbo (what do you mean, you don't subscribe?) and will come with almost identical tech to the newly-launched Google Nexus S.
This means Android 2.3, NFC technology and a gyroscope - but intriguingly a dual-core processor as Samsung tries to set it apart from the original and popular Galaxy S.
There's not much more information than that, but given after the Google Nexus One launched the HTC Desire was hot on its heels with similar hardware, the Galaxy S2 seems a nailed-on certainty. With the original Galaxy S and the Galaxy Tab Samsung has popped its custom TouchWiz 3.0 skin on top, so that would likely be a key differentiator between the Nexus S and Galaxy S2 should it emerge at MWC. TechRadar will be patrolling the floors in Barcelona next year, so keep an eye out for our in depth Galaxy S2 review if it ever rears its head.